TALENTED ACTRESSES TEAM UP FOR MUSIC COMPOSER! Music Composer James Vasanthan turned a director with his film Vaanavil Vaazhkai. Now he would be calling the shots for a venture that would feature the talented actresses Suhasini, Radhika, Oorvasi and Khushbu. The film began shooting yesterday (26th Sep) in Australia. 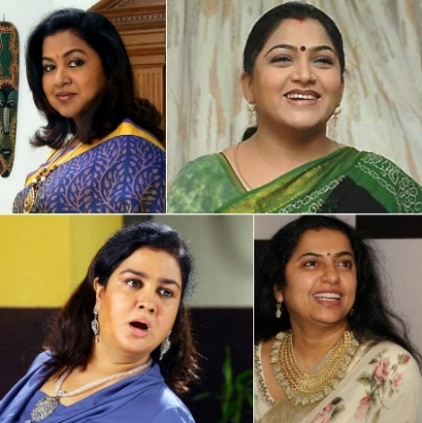 As per sources, these veteran actresses are said to play pivotal roles in the project. The hero and heroine of the film, as per sources, are yet to be firmed up. It is speculated that they may be newcomers. The film is claimed to be based on relationships and friendships. James Vasanthan, besides directing, is also slated to score the tracks. People looking for online information on James vasanthan, Khushboo, Oorvasi, Radhika, Suhasini will find this news story useful.